I have made a couple of online orders during the January sale this year - but I popped in store in Manchester today and picked up a few bits. 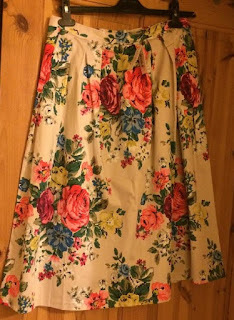 Throughout this post, I'm going to insert a few photos of the items I bought from the Cath Kidston website alongside my own photographs for comparison purposes. I mainly bought fashion and homeware stuff, not much in the way of accessories this time - although I had already bought a bag in the online sale so it wasn't looking for another one - there was lots of lovely ones though. I was really tempted by one in the Oxford Rose pattern. Starting off with the most boring bits first, I bought two packs of paper napkins for decoupage. One is in the Woodland Rose pattern and the other is in the Cranham Rose pattern. They were £2 each down from £3.50 - which I think is a steal as napkins always come in use when crafting. I have a sneaky project in mind that I plan to use the Cranham Rose ones for already! 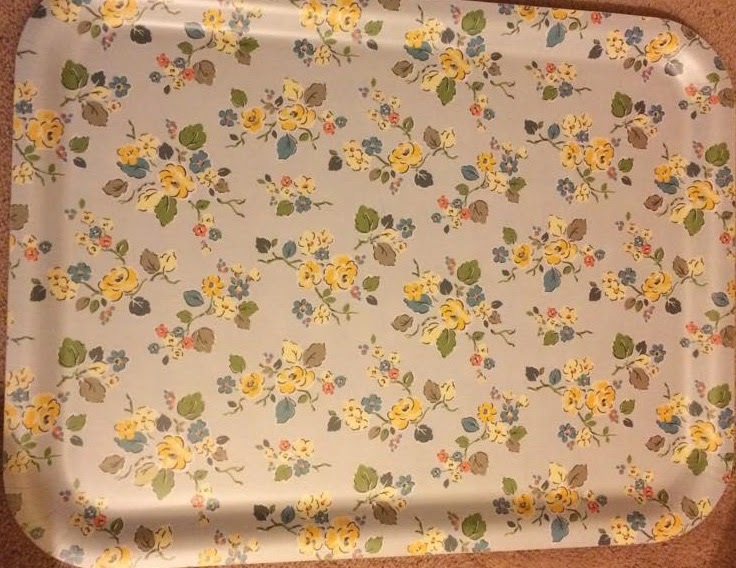 I also picked up a Park Rose Carrier Bag Store which was only £5 (originally £10). It's a pretty boring item too but it's functional and will brighten up my kitchen. I love how vibrant this print is - it really caught my eye. 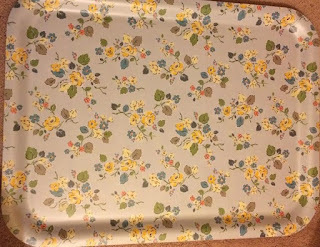 There was a laundry hamper in this same print which I was close to buying but I exercised a bit of self-control. 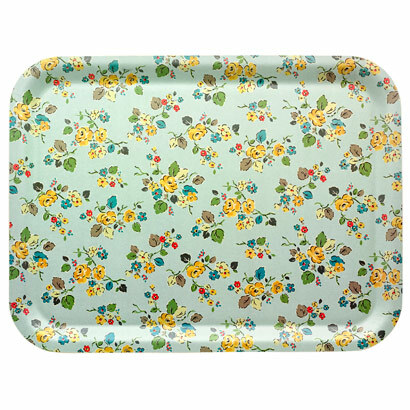 I ended up buying this cute Woodland Rose Tray which will come into good use. This is cute and has such a vintage feel to it. This was £8 reduced from £20. There's just something about this that I loooove. 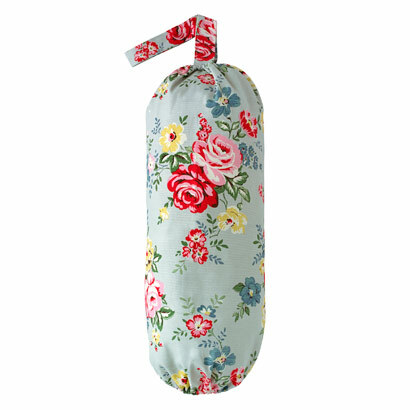 The final homeware item that I purchased is a roll of Rainbow Rose Chalk Wallpaper which was £15 reduced from £25. I'm thinking of using this on a small feature wall in the house. I hate the phrase feature wall for some reason but y'all will know what I'm referring to when I say that. But yes, it's absolutely beautiful but they only had one roll left so I couldn't go the whole hog and completely do a room with it. It's lovely though. My original plans for this trip were to just buy homeware stuff as I don't really need any clothes but.. this didn't happen. Some items that I've had my eye on for absolutely ages were on sale at crazy markdowns so I just couldn't resist. So firstly, I picked up the Faux Fur Collar in purple. 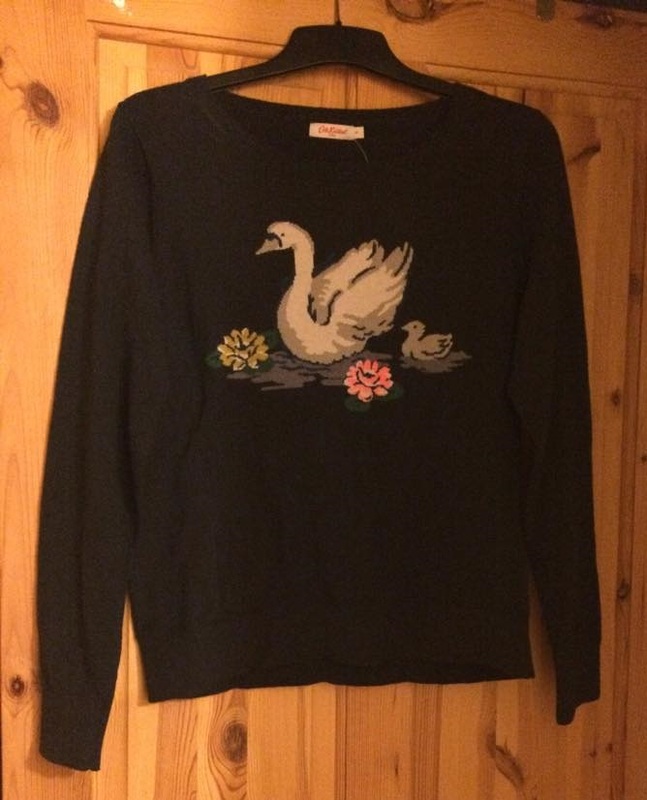 I've wanted this for a while since I saw my boyfriend's mum wearing it and it looked gorgeous. It's really luscious, fluffy and soft and the floral lining underneath is just precious. I'm in love with this. 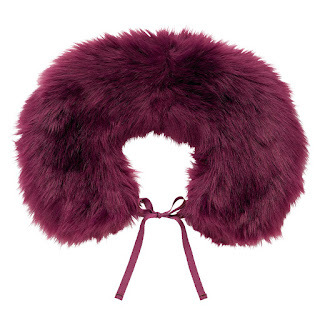 A fur collar is a fab alternative to a scarf and as it's always freezing up north, I need one or the other! I debated for ages on whether to buy the navy coloured one or this one but I always go for navy so I decided to step out of my comfort zone a little. It was £17.50 reduced from £35. I'm not sure if I'd pay the £35 for it as I think that's perhaps a little pricey but it really is lovely. I then decided 'screw it' - I'll just get what I want. So I tried on 4 items of clothing and liked them all. 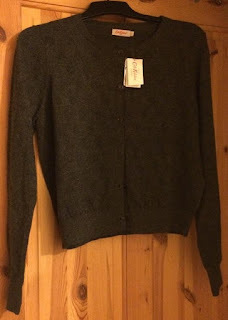 Two of them were the same cardigan in two different colours though and as I decided that it would be naughty to buy both - I chose the colour which I always choose. I really wanted to try the plum coloured one so I could phase the colour into my wardrobe but I was afraid that I wouldn't wear it so I picked the grey alternative. 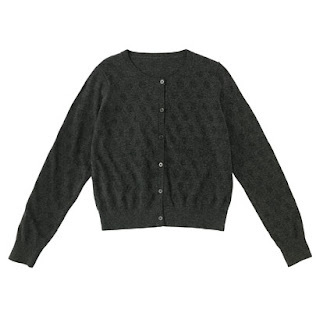 It's so unbelievably soft and cosy - I love it. The holey pattern doesnt actually show up much when on but it's gorgeous all the same. This was £25 reduced from £55. I made a second knitwear purchase which is this lovely Intarsia Swan Jumper. 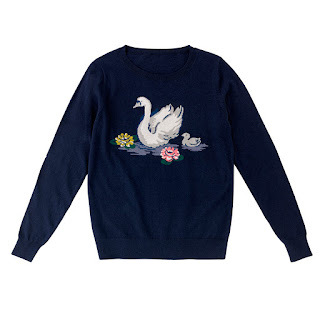 I've had my eye on this for yonks but £75 was just too much for me to shell out on a jumper for myself. However, I picked this up for only £29 which I really cannot grumble at. The quality is exceptional - I'm so pleased with it. 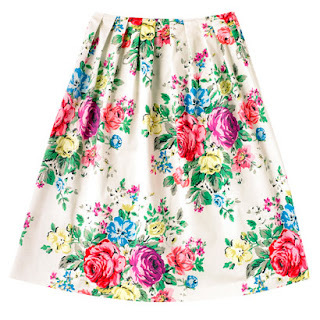 My final and most favourite purchase is this Hampstead Rose Midi Skirt. It's absolutely beautiful and the fabric feels amazing. I've been wanting this for so long but have been reluctant to buy it at £60 but £25 is more than reasonable. Just from looking at this skirt, you can tell that it's worth way more. 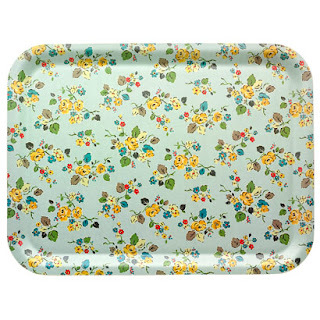 I wanted to buy way more clothes and think that I showed a fair bit of restraint really as everything in Cath Kidston really is lovely. I am pleased with all the goodies that I picked up though and just to repeat FYI - this was all purchased from the Manchester Cath Kidston store. The staff in there are very helpful, it's my fave store.